Crucially, in 2019 we expect some of the technology infrastructure which underpins innovation in digital signage to come on in leaps and bounds. 5G networks look set for major rollouts in 2019, which mean greater consumer – and corporate – access to superfast communications and download speeds. In turn, this means that digital signage will be able to offer high-quality live-streaming and rapid access to data-rich applications and Big Data, offering a raft of new experiences. 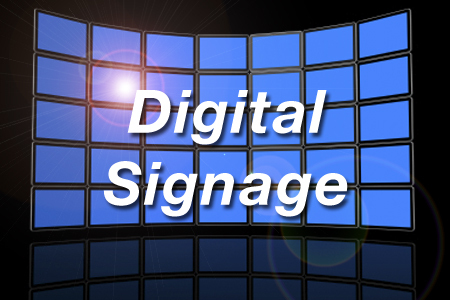 Mobile engagement with digital signage, potentially harnessing IoT technology such as RFID tags and geolocation sensors, also will develop in some exciting ways. Organizations will have greater than ever abilities to deliver sophisticated and data-rich experiences to consumers on their mobile devices – and these could be integrated with digital signage. Imagine a shopper walking past a digital billboard in a department store, who is automatically presented with personalized content via both the billboard and their smartphone – working in tandem. Another big trend we expect to see in digital signage in 2019 – greater personalization. This is one of the most powerful ways for organizations to increase customer engagement and deliver a more memorable experience, and it can range from the simple – scheduling specific content to appear on signage at a particular time – to the highly sophisticated – tailoring content according to precisely who is front of said signage. This is being made ever more possible thanks to advances in artificial intelligence, which can analyze huge quantities of data relating to customer behavior, from their movement within a particular space to their buying habits over a period of time. The retail and entertainment industries will be taking advantage of these possibilities in 2019, finding new ways to offer tailored experiences and keep visitors coming back for more. The Pokémon Go craze of 2016 demonstrated just how imagination-capturing augmented reality (AR) technology can be. That app uses smartphones to deliver an interactive experience – digital signage can be another AR interface, and one with hugely exciting potential for advertisers. Interactivity with digital signage is not a new concept – even the NHS got in on the game in 2016 – but advances in artificial intelligence and higher network speeds mean that far more sophisticated offerings are developing rapidly. These include virtual assistants, virtual changing rooms and the combination of digital signage with interactive technology to showcase information or instructions about projects in real-time. These are just some of the areas in which we expect to see digital signage innovating and shaking up multiple industries in 2019. One thing’s for sure – it’s going to be an exciting 12 months.